Camila Cabello, Demi, Bebe & More Recorded A Demo Of "The Middle"
Country darling Maren Morris netted a top 5 hit on the Billboard Hot 100 when she teamed up with Zedd and production duo Grey on their boisterous “The Middle.” However, in a February interview with Billboard, Zedd revealed that she was one of around 14 artists to lay down a demo for the track. Remaining relatively coy, he did not name any of the other singers in the running. However, now we have a better idea of who missed out on the hit. 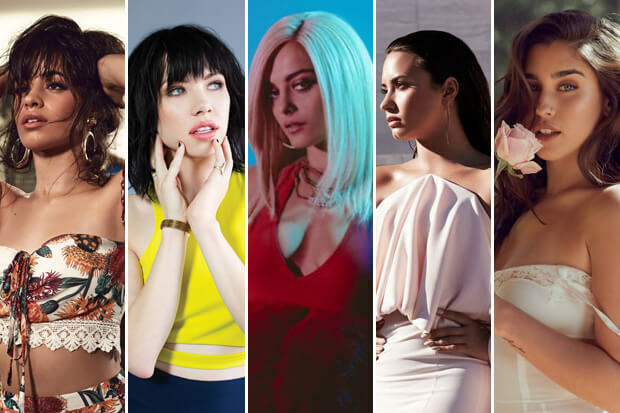 Yesterday (April 24), Variety reported that some of the artists up for consideration included Camila Cabello, Demi Lovato, Lauren Jauregui, Bebe Rexha, Carly Rae Jepsen, Bishop Briggs, Daya, Tove Lo, Elle King and Anne-Marie. Monsters & Strangerz, a production quintet that assisted with the song, spoke to Variety about what went on behind the scenes. Although written over a year ago, the group knew they had a hit on their hands. “We never lost the feeling for that song,” Jordan Johnson said. Of course, they were correct in their assumptions. The track was destined for big things upon its release in January. Following a Target-sponsored performance at The Grammys and an endorsement from the company it became something of a streaming giant. At the time of publishing, it has amassed more than 240 million streams on Spotify. With its recent peak on the charts, it has already bested the Alessia Cara-assisted “Stay,” which soared into the top 10 last year. While it is interesting to imagine some of the above-listed hitmakers on the track, Zedd offered some insight about why they ultimately went with Maren back in February. “Some of them just sang it well. Some of them are incredible singers, but it almost felt like they’ve never heard the song before, they’re just reading it off a piece of paper, but they’re singing it really well,” Zedd explained. “And then when Maren sings… really, to me personally, the song is a constant build-up. It just gets more and more exciting. And the bridge, which is oftentimes a kind of boring moment in a song, is my personal favorite moment. It’s where she’s so vulnerable. Just her and a small guitar, and you really hear every breath, and you hear every squeak and everything. I just think that she carried it the best.” Clearly, the decision is paying off. Who would you have liked to hear on “The Middle?” Let us know below, or by hitting us up on Facebook and Twitter!